Made exclusively for medium to large dogs for any special occasion. 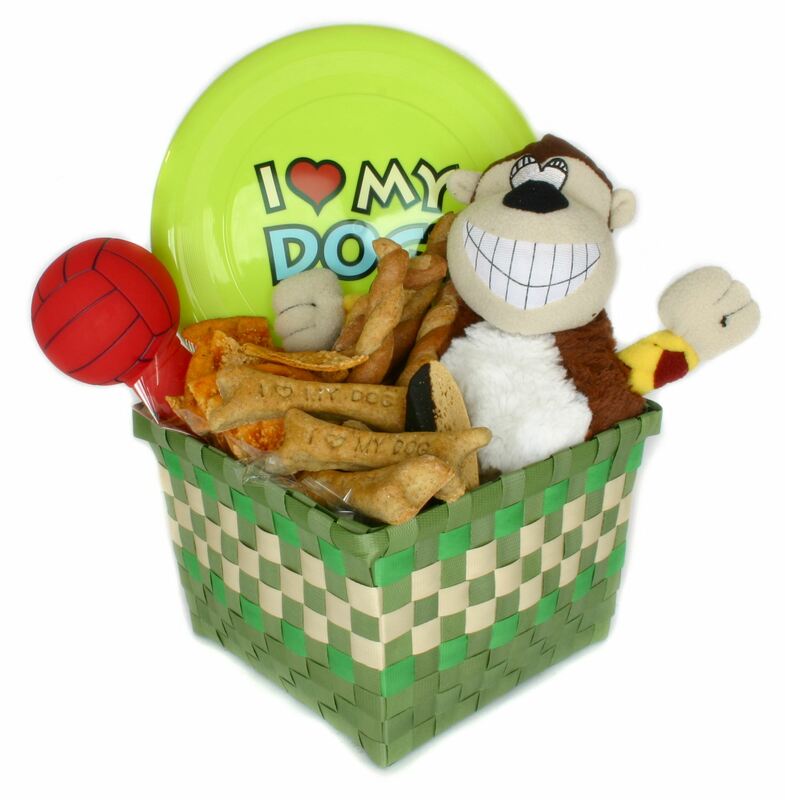 This gift basket includes a large squeaky toy, a plush toy, a flying doggie disc, and a one pound mix of our most popular larger handmade gourmet dog treats; Pizza Slices, Peanut Butter Biscotti dipped in Carob, Beef & Chicken Twists, and "I Love My Dog" Chicken Bones. All of the treats are bagged and secured with pretty ribbons. The basket also includes a personalized gift card and we will include a cute birthday hat (not pictured) with any birthday wishes order.